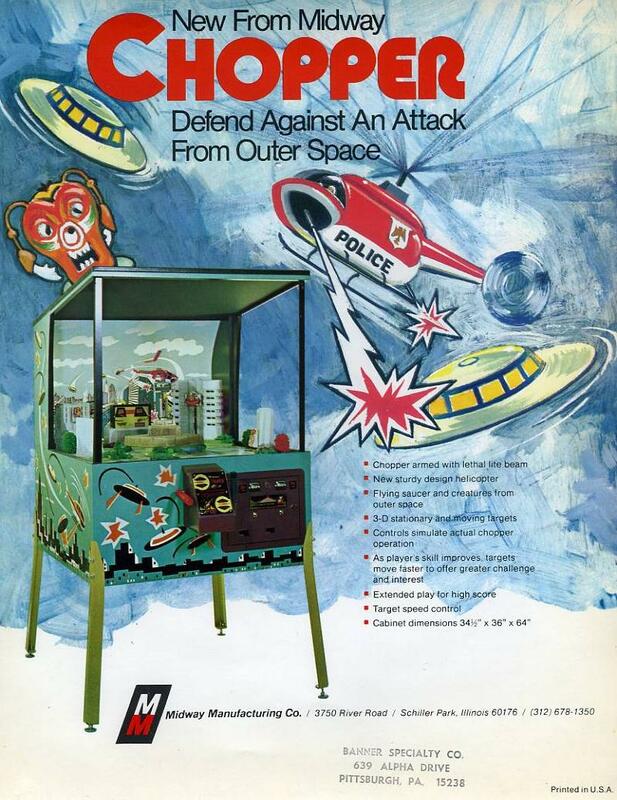 At the time Chopper was released (1974), I'm sure it was "state of the art" for arcade equipment. Chopper is a blend of an EM game and a Solidstate game. It has several relays and a stepper unit like an EM. But it also has several circuit boards for the sound and amplifier, and for the motor speed controls. The game is more solidstate than EM frankly. The TIP31 and TIP32 transistor on the Monster Speed Control board like to fail, as does the 741HM drivers (nte941), which is hard to find in the original TO-5 package. Sound amplifier board uses a LM354 amp (TAA621 or nte1112), which is again hard to find and does fail. Other transistors used on Chopper include 2n4871 (nte6410), A138 (nte199), 2n3394 (nte85 or nte199), 2n3645 (nte129), 2n3569 (nte123 or 2n4401), D45C5 (nte378), D44C5 (nte377). 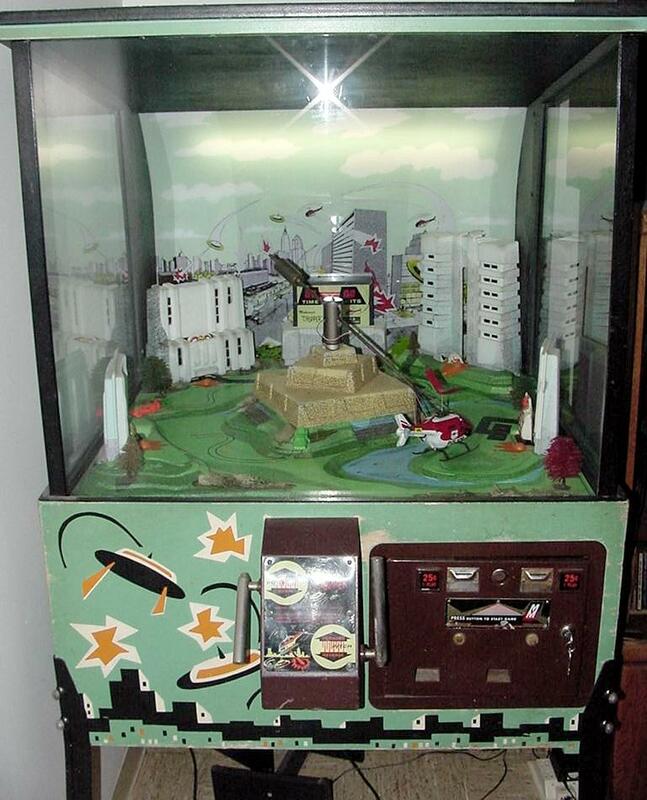 The score displays are high voltage two digit gas plasma displays like early solidstate pinballs. These two digit displays are impossible to find. The only solution I can offer is using the ball/credit displays from Atari pinballs (these are plug and play replacements.) This works very well. 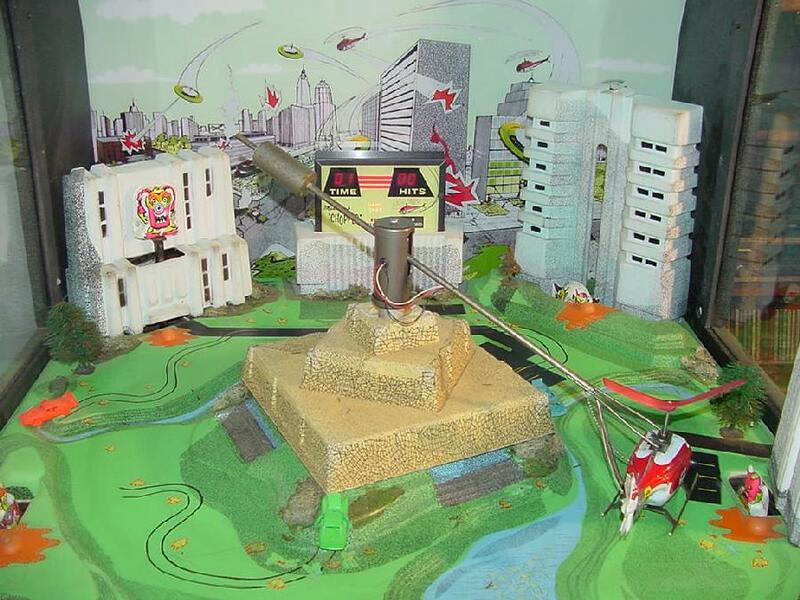 The chopper helicopter itself is a more modern version of the Whirlybird helicopter and is not interchangable. 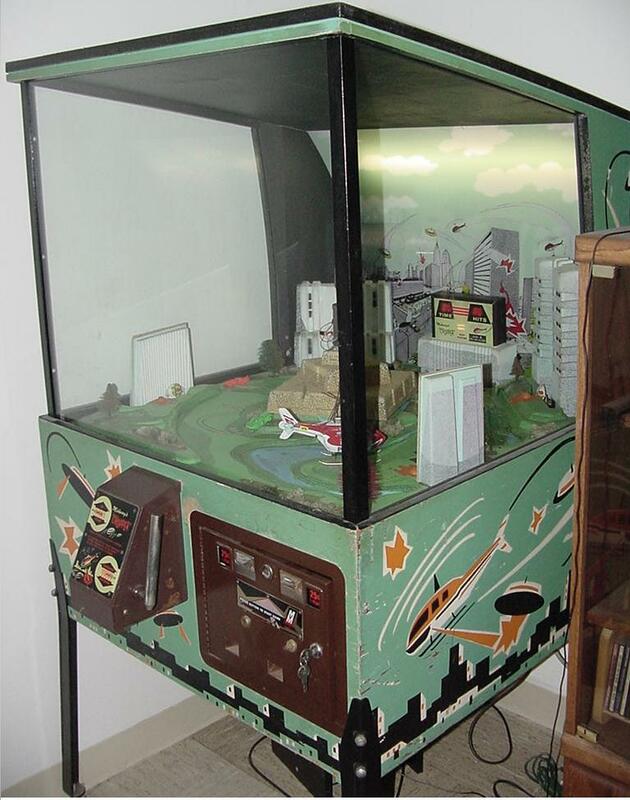 Often this game is missing its 8-track player and/or tape, and often the back flexible plexiglass background is missing too. Another problem with this game is the monster light sensors often fail, making the game difficult (if not impossible) to play. This is easy to fix though by purchasing hardware store light activated night lights. These can be disassembled and their electronic sensor transplanted to the Chopper's monster. 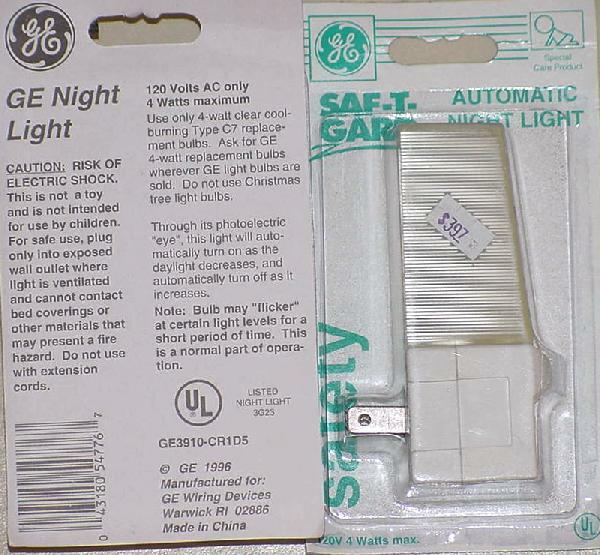 The brand that I have found to work best are GE Night Light #GE3910-CR1D5. These are 120 volt, 4 watt incandecent bulb type night lights. There are other bulb styles and wattages, but I found this one to work the best. As for the light inside the chopper (though I haven't personally had problems with this on Chopper), check out the Midway Twin Pirate Gun page for suggestions on replacing that. Movie: Chick HERE for a 15 second (1.4meg) movie of a working Chopper game in action, complete with sound! MP3 sound file, courtesy of M.Clayton. Replacement light sensors can be transplanted from a night light to the Chopper's monsters.